Our KOC Mexico 2016 trip has started! 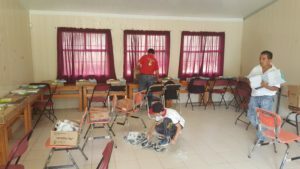 A visit to Mexico is one of the most exciting parts of being a KOC volunteer – we visit existing labs, perform upgrades and maintenance on the computers, do training sessions with the teachers and students and install new labs. 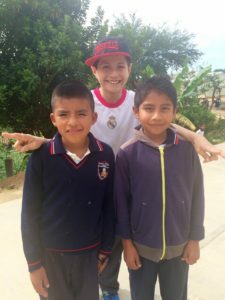 There is nothing more exciting than meeting the students and seeing their enthusiasm. 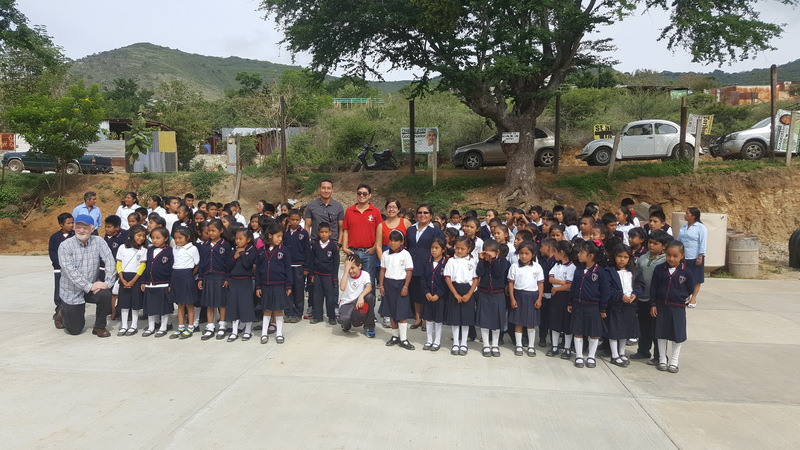 This year we are installing 2 new labs in Oaxaca City – one at Benito Juarez Elementary and another at Jose Vasconcelos. 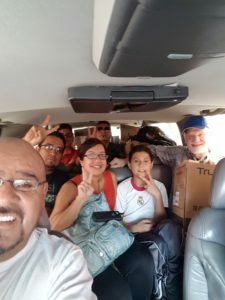 Thomas and I flew from the United States into Oaxaca City and met up with Fernando, Gustavo, Hermes, Luis, and Jose. 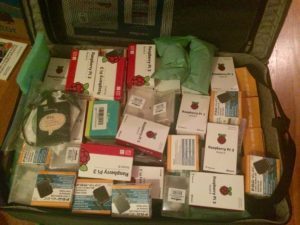 Combined, we brought in 7 laptops, 21 Raspberry Pi3s, 2 Intel Turbots, 4 large hard drives, heat sinks, and 1 24-port switch from the US in our luggage. We also both had personal laptops as well. We got the green light in customs and thankfully made it through without any trouble! 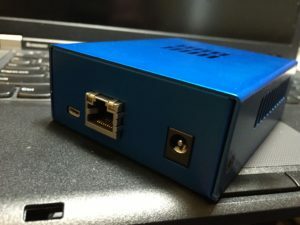 Fernando and Gustavo purchased peripherals (monitor, keyboard, mouse, headphones, cables, projectors, and routers) for the Pis and the servers ahead of time. This morning, Fernando, Gustavo, Jose, and Luis brought all of the peripherals and met us at the hotel at 9am. All of us then piled into a large truck and took all of the equipment to both of the schools and started setting up. We first unloaded everything at Jose Vasconcelos. This will be our first lab of all Raspberry Pis. 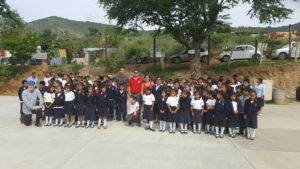 The school then did a small flag ceremony and sang the Mexican flag anthem. They then served us a huge breakfast of soup and chicken. We then split up. 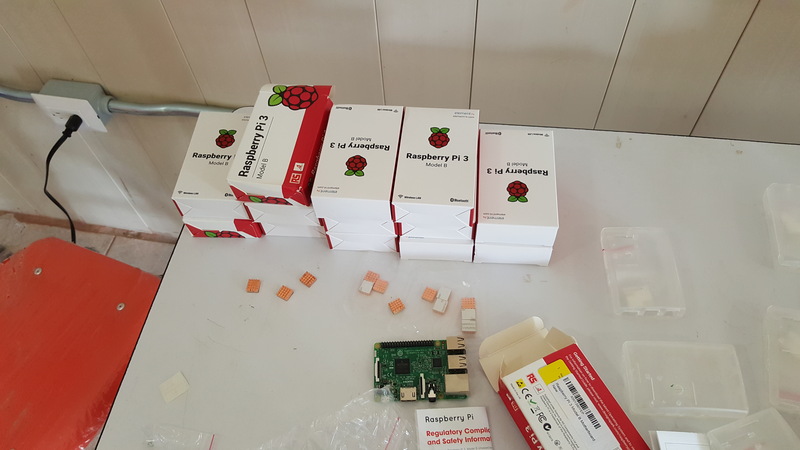 Gustavo, Fernando, and Luis stayed at Jose Vasconcelos and begin setting up the Raspberry Pi3 workstations. Hermes, Thomas, and I headed to Benito Jaurez. But not before we stopped at a parent’s house and had a second huge breakfast. 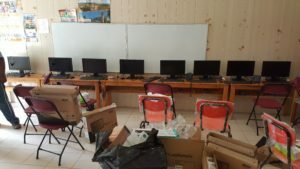 We then made our way to the school and unloaded all of the donated laptops that we had brought and started installing Ubermix on them. 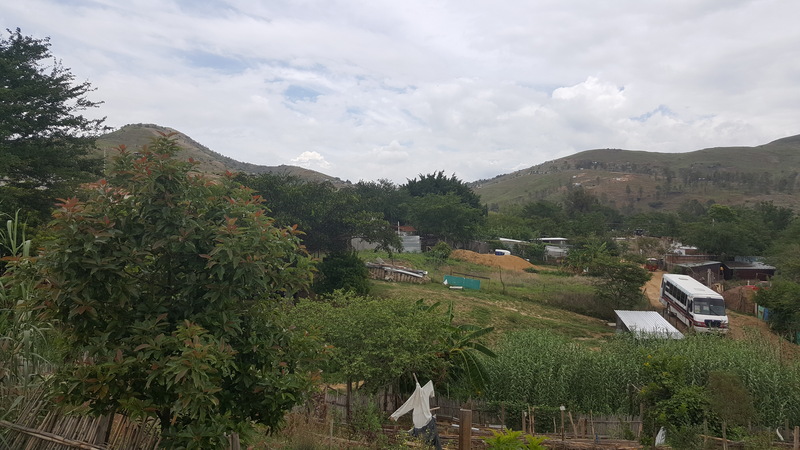 I am writing this blog post from Benito Jaurez which has Internet! We are half way through setting up the 2 labs. 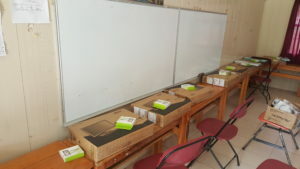 Both schools have rooms for the labs that are secured with bars on windows; they’ve also procured desks and chairs for the computer labs. Benito Juarez is also planning to purchase a screen for the projector. 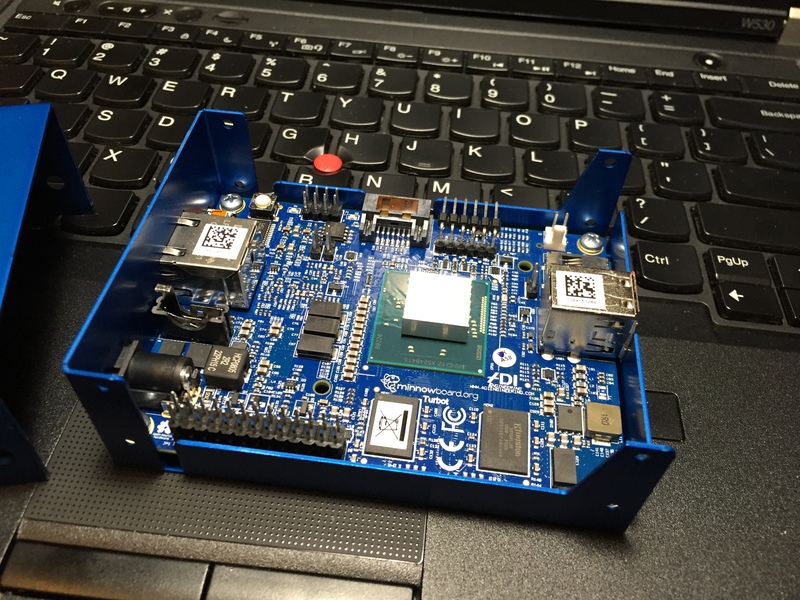 Tonight we will work on finishing the XSCE server setup and installing Ubermix on our older laptops. We are all having fun meeting the local folks here and excited about the work we are doing. 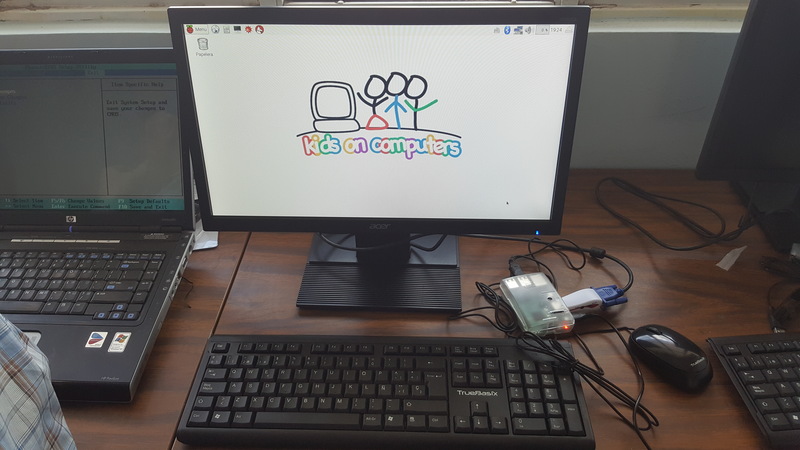 Thank you to everyone who donated a Pi3, laptop, helped with software and hardware setup.We are very grateful for our volunteers, donors, and partners and their continued support to make KOC efforts a success! I am proud to be part of such an awesome community.